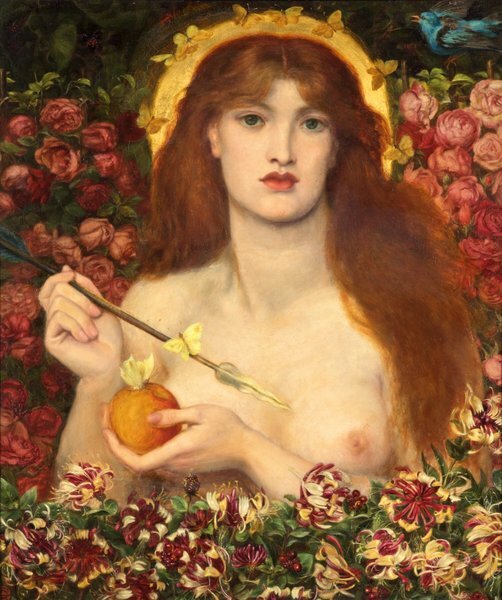 Happy Aphrodite Day! February 6 is the ancient Goddess feast day for Aphrodite. Aphrodite is the Greek goddess of physical love, attraction, beauty, seduction, and mischief. Her influence isn’t just about the carnal acts but the entire experience. The romance of holding another’s hand, of couch cuddling and hot chocolate; the sweet taste of another’s mouth, the smell of perfume and pheromones; the feeling that swells in us when we are inspired by art, our infatuation with a beautiful song or affecting novel, the light and shadow playing across your skin as you watch the sun set… all these experiences are Aphrodite’s gifts. She is the goddess of attraction, of desire, passion, and lust; of splendor, of opulence. All acts of sensuality are a part of Aphrodite’s realm. The things that make up our daily lives (our habits, routines, and chores we do) can be food for the soul when we call this Goddess into our lives. Oils, perfumes, music, special dress, delicious foods are all things speak to our soul body. They change our temperament, our attitudes, our connections to others, and our atmosphere. The best way to embrace an Aphrodisian life is to use your senses as a guide. What do you like to taste? What do you like to listen to? To watch? Turn that activity into a daily ritual to Aphrodite. Enjoy your morning coffee/tea without distractions. Just sip and enjoy the flavor. Fill your home with your favorite scents using oil burners and incense. Consider a different scent for each room. Moisturizing / self massage with scented oils and lotions. Treat your clothes and makeup application as acts of adornment. Have fun with jewelry! Read one poem every day, and ponder the significance and flow of the words. Start an art journal! Draw, paint, or take photos full of color and things that make you smile. To learn more about Aphrodite and living a sensual life, check out Priestess Brandi Auset’s online workshop, Aphrodite’s Kiss: A Goddess Activation Course on Mystery School of the Goddess.